Scarce Victorian 1 Quart Seed Measure. 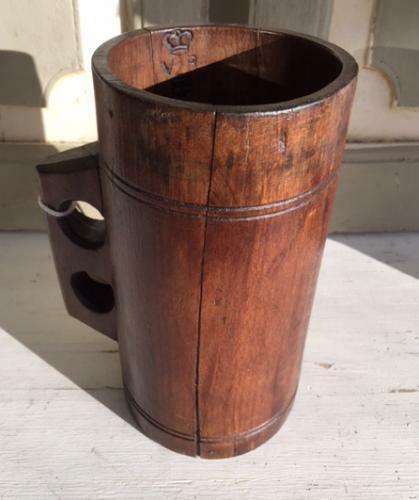 These were made out of one piece of wood and came in 3 sizes, Quart, 1 pint and half pint. They are rarer than the conventional 'Drum' measure. This one is clearly marked Victorian V2R with the earlier crown motif. There are minor splits which you will always get with these due to age and being made from one piece of wood however these are slight and do not detract from the item.